Onstage at I/O 2018, Google showed off a jaw-dropping new capability of Google Assistant: in the not too distant future, it’s going to make phone calls on your behalf. 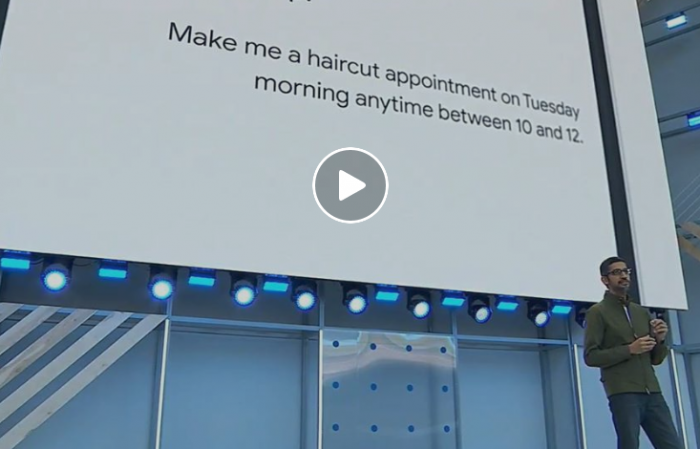 CEO Sundar Pichai played back a phone call recording that he said was placed by the Assistant to a hair salon. The voice sounded incredibly natural; the person on the other end had no idea they were talking to a digital AI helper. Google Assistant even dropped in a super casual “mmhmmm” early in the conversation. “We’ve been working on this technology for many years. It’s called Google Duplex,” said Pinchai. Posted May 10, 2018 by hub_admin & filed under General News/Info/Tips, IoT, News.